311 Reports = Tracking = By-Law Enforcement! I would like to STRESS the importance of contacting 311 to report potential by-law infractions. 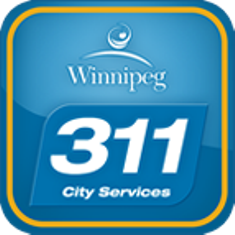 For simplicity, you can E-Mail 311@winnipeg.ca which often is easier than phoning in concerns. For any resident who is requesting service – whether it’s cars parking on lawns, multiple tenants in single family dwellings, accumulated debris, long grass, etc. – it is VERY IMPORTANT you report your concern to 311. Why Do I Contact 311? With limited resources, it’s challenging to address every potential infraction throughout the City. However, EXCESSIVE reports of infractions result in increased resources by enforcement officers. Over the last three years, the Manager of Community By-Law Enforcement Services has increased the number of proactive investigations in neighbourhoods with the highest number of service requests. 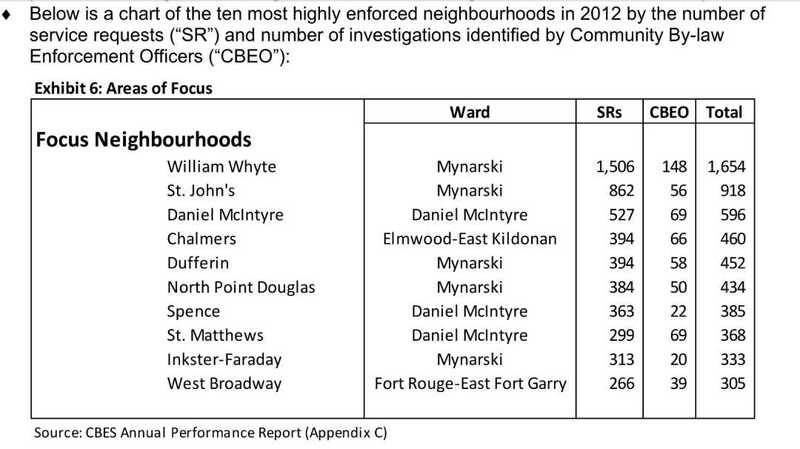 SEE CHART of the most highly enforced neighbourhoods in 2012, based on the number of service requests (“SR”) and number of investigations. 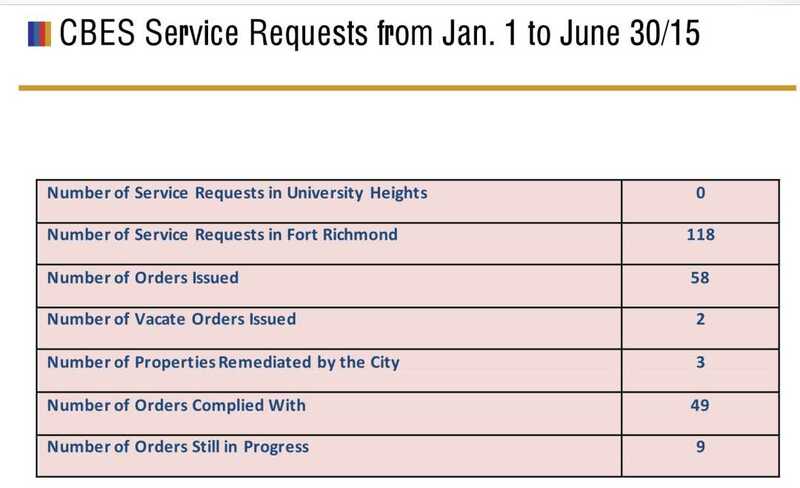 Recently, I requested a report from Community By-Law Enforcement Services with information regarding the number of by-law infractions in 2015 in the communities of Fort Richmond and University Heights: SEE CHART. Do By-Laws Have Any Teeth? Do Enforcement Officers Investigate Complaints? To assess the efficiency and effectiveness of the Community By-law Enforcement Services Division. To assess whether adequate systems, processes, practices and controls are in place for the Division to achieve its goals and objectives. Residents in Fort Richmond and University Heights will find the Community By-Law Enforcement Services Audit Report a VERY interesting report; especially Pages 15 to 25, which reflect statistics on by-law infractions. The key message is that it is very, very important to report potential by-law infractions to 311. E-mailing is much easier: 311@winnipeg.ca. Reports are tracked and enforcement is allocated to neighbourhoods with high numbers of service requests. If you have by-law concerns, PLEASE REPORT THEM TO 311. By working together, we can make change! A great example of COMMUNITY LEADERSHIP can be found in Winnipeg’s North Point Douglas. Residents in this area united and organized into a cohesive group to address the negative issues their area was facing. While the issues in North Point Douglas are different than those we are experiencing around the University of Manitoba, it’s easy to see how an organized effort and understanding of process enabled great improvements. SEE Update from North Point Douglas. Congratulations to Sel Burrows and the North Point Douglas community for their tremendous success!